ROYAL OAK – Before school, recess & outside activity time schedules. Living on the West Coast the weather can be wet and windy. Students should dress appropriately. We do have a torrential rain plan in place but expect that there will only be a few “torrential rain” days throughout the year. Please consider donating items such as warm socks, mittens, toques, toothbrush/toothpaste, shampoo and body wash to put into “sock bombs” for those in need in our community. 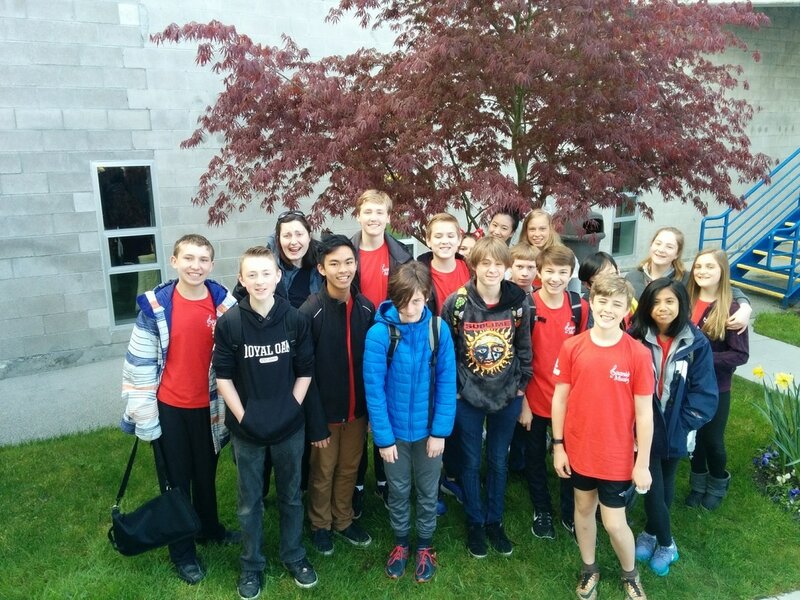 ROMS Terry Fox Fun Run – October 4 2018 Approximately $700 raised. We acknowledge and thank the W̱SÁNEĆ people on whose traditional territory we live, learn, and teach. The W̱SÁNEĆ people have lived and worked on this land since time immemorial. Term 1 Playing Tests and Self-Evaluations due Nov. 9 for grade 8s, Nov. 16 for grade 6/7. Band fundraisers! Royal Oak band students are currently selling tickets for Hillside Centre’s “Night of Lights” (Nov. 18) and taking orders for poinsettias. Tickets and poinsettia orders are available until Nov. 16. Poinsettias will be available to pick up at our Winter Band Concert, Dec. 6. Talk to a band student for more details! Parent Teacher Interviews – Oct. 16/17 – Please use the link below if you would like to schedule an interview with Mr. Bridgman. Band Parent Meeting – Sept. 26 at 7pm in the band room. All band parents are invited to attend! ROMS Music Monday – Oct. 1, 3:30-5:30pm. Please return the payment ($15) and registration form by Friday, Sept. 28. Instructional videos for beginner band students, search for your instrument for additional instructions on assembly, posture, playing position and embouchure. Instrument Rental Night – Tues, Sept. 11 – 5-7pm in the band room! ​Term 3 Playing Tests and Self-Evaluations must be completed by June 15! 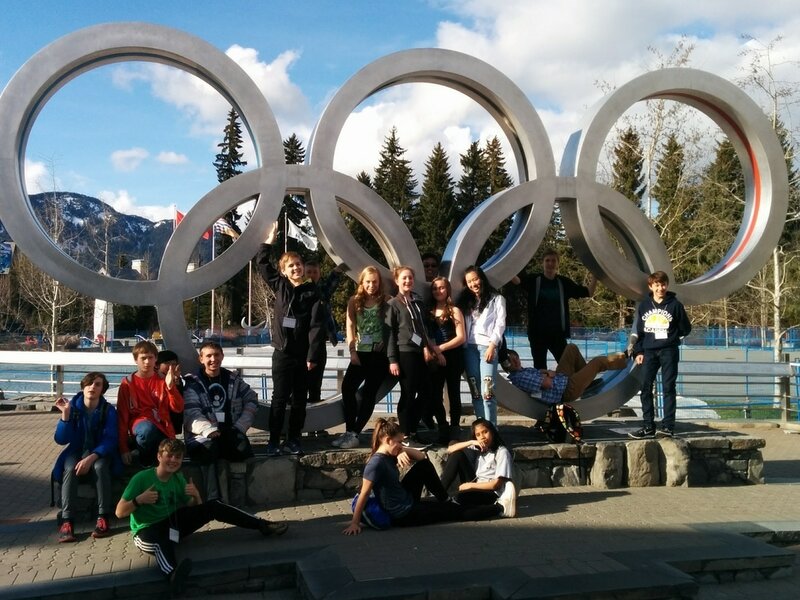 Festival Reflections – all grade 6, 7, 8 students who attended the GVPAF or Whistler Band Festivals please complete the reflection below. Term 2 Playing Tests and Self-Evaluations must be completed by Mar 2! ​Band Registration Is Now Open For Next Year! Deadline May 1, 2018. 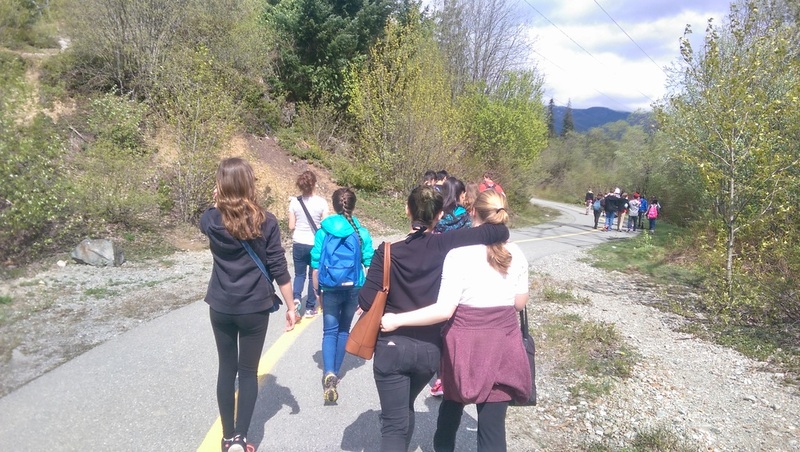 Whistler Forms Due Tuesday Feb 6! Practice a minimum of 5 minutes a day! Red book – Review your 6 note scale, plus everything on pages 6, 7, 8, 9 & 10. – In order to start playing the other instruments in the percussion section, student must complete a playing test. Testing begins after the holidays. Student must schedule a time outside of class with Mrs. Galvao for the test before February 2nd. All forms and payments must be handed in. If not, you don’t get to go. Welcome to the 2017/2018 School Year! Band Classes will be starting on Thursday Sept 7th! Instrument Rental Night is Thursday Sept 14 from 5-7pm. *You are welcome to rent from a music store before this date or if you are not able to attend and want to rent from ROMS please contact Mrs. Galvao. My email is still not working! All Band books and instruments rented from the Band department are due on Monday June 26th and Tuesday June 27th! – Note values – ex – how many beats is a quarter note, etc. – Musical terms – ex – what does a fermata look like, crescendo, etc. 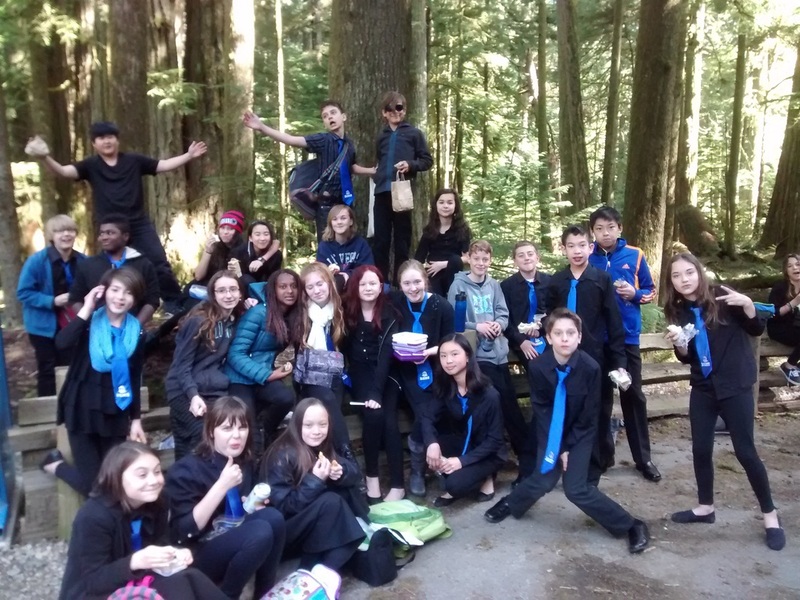 The Grade 8 Band earned Silver at the Con Brio Music Festival in Whistler!! 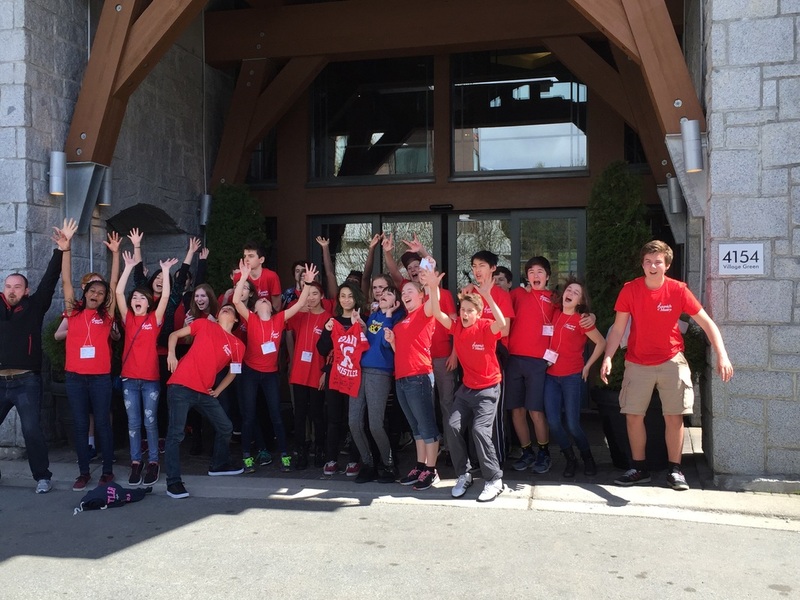 Grade 6 and 7 students have been working on the Breezin Thru Theory online theory program at school. The website is www.breezinthru.com . The login and password have been emailed out. Students will be given time to work on theory in class. They can also work on it at home. Grade 6s should complete chapter 1 in term 1, chapter 2 in term 2 and chapter 4 in term 3. Chapter 1 complete all Treble clef and Bass Clef sections. Alto and Tenor are not required. Grade 7s should complete chapter 3 in term 1, chapter 6 in term 2 and chapter 7 in term 3. ​* Any students who have not completed chapter 1 (Gr 6) or chapter 3 (Gr 7) must complete it before the end of term 2. * There will be a rehearsal for all Band students during the day on Monday November 28th. Please bring your instrument! Magazine sales have started and happening until November 4th. The sign-up sheet for helping out at the Winter Concert and handing out Poinsettias at the Craft Fair is a Google Doc. All students have a GAFE account that will give them access to Google Docs. Please contact Mrs. Galvao if you have any questions. Handout from Music Parent meeting is available under Newsletters and Handouts! Parents and students are welcome to come to the Band Parent Meeting this Thursday at 6pm in the Band Room. Please contact me if you have any questions. 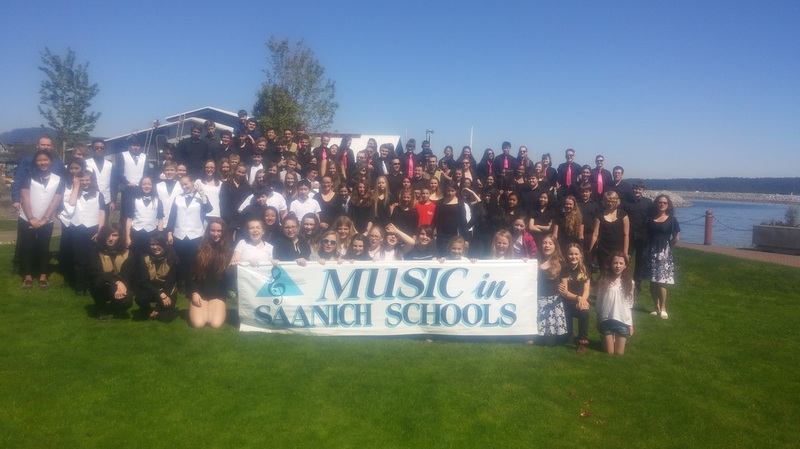 An opportunity for Saanich Music beginning band students from Bayside, Royal Oak, and North Saanich to learn instrument specific techniques with a music specialist, meet new music friends, have lunch, and put on a small performance. Forms will be handed out in Band class and must be returned by Monday September 19th. The form is also available under the Newsletter and Handouts tab. I am very excited to have to opportunity to teach Music at ROMS this year and looking forward to getting to know all of you! Band/FAAS begins the first week of school. Band students will find out which class they are in this week as well. Please review the schedules under the Classes and Clubs tab. Year end band concert 2016! 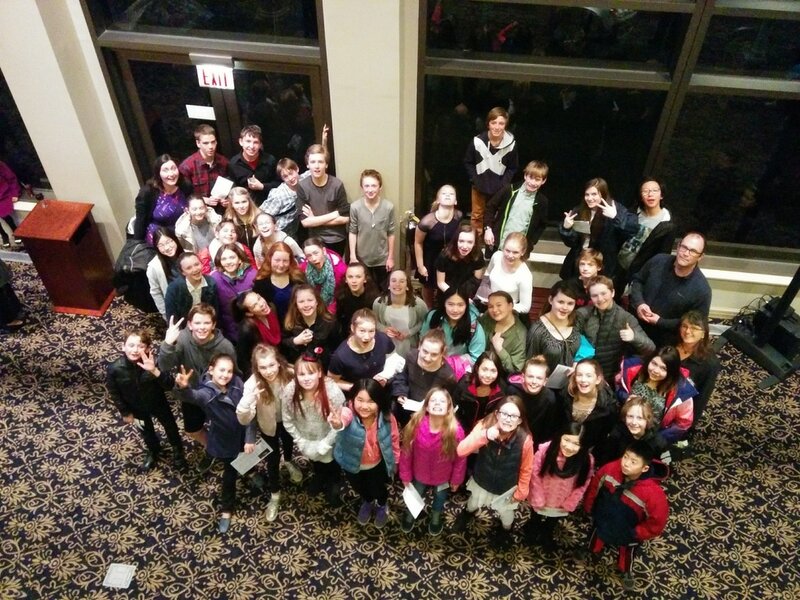 The Grade 8 Concert Band had a great time in Whistler this year! 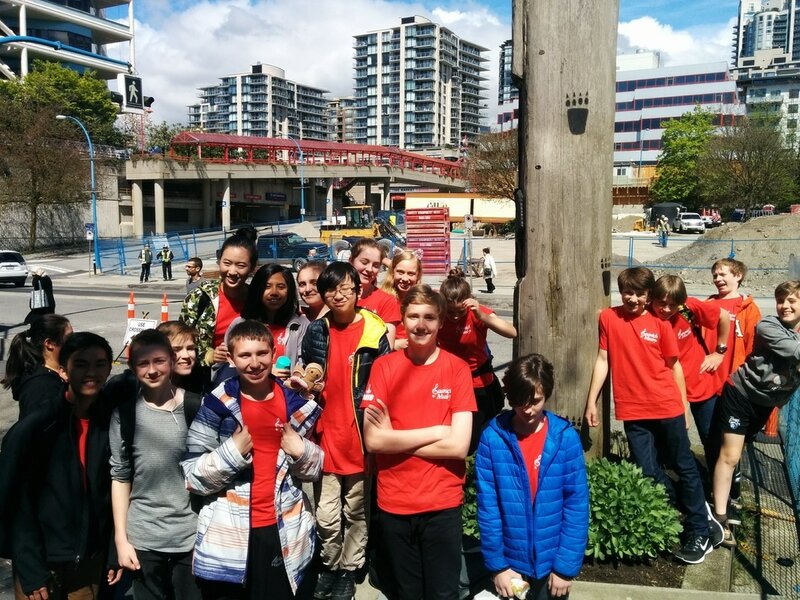 Congratulations to the Grade 6 band for an excellent first festival performance at the Greater Victoria Performing Arts Festival! 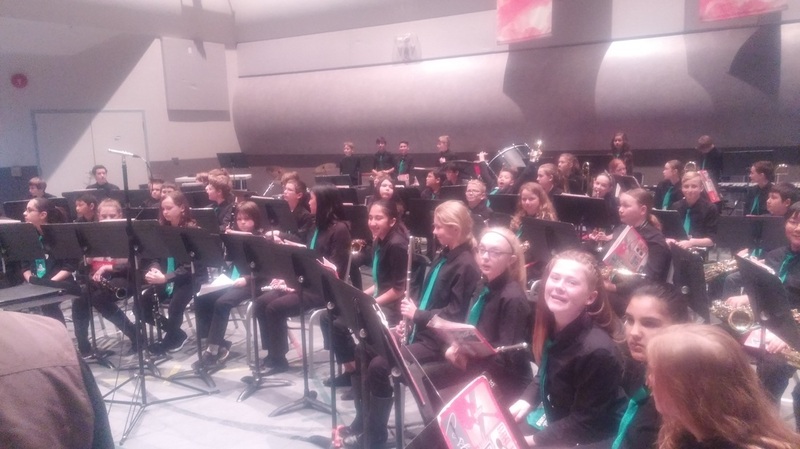 Winter Band Concert – Nov. 30! 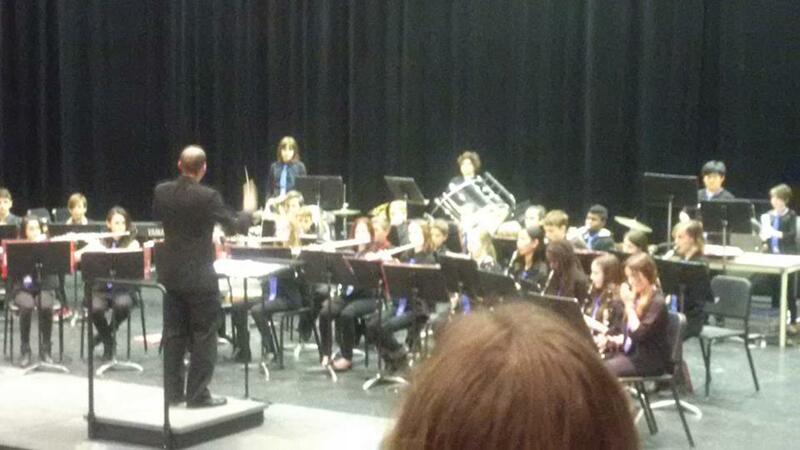 Perfomances by the grade 6, 7 and 8 concert bands, jazz band, choir and small ensembles. Hope to see you there! The concert starts at 7pm. There will be a bake sale at 6:30pm and opportunities to order level ground coffee/tea and other products. Our fall fundraising drive kicks off on Wednesday, Nov. 4. There will be an informational meeting for all band students on Wednesday, November 4 during lunch advisory period (12:47-1:16pm) to provide details on these fundraisers. Parents are also invited to attend. Please keep an eye out for more information to come home with your student regarding each of these activities, QSP magazines , pointsettias and Hillside Mall Night of Lights ticket sales . Thank you in advance for your participation and support! Grade 6 and 7 students should now be working on the Breezin Thru Theory online theory program. The website is www.breezinthru.com . The login and password has been emailed out. 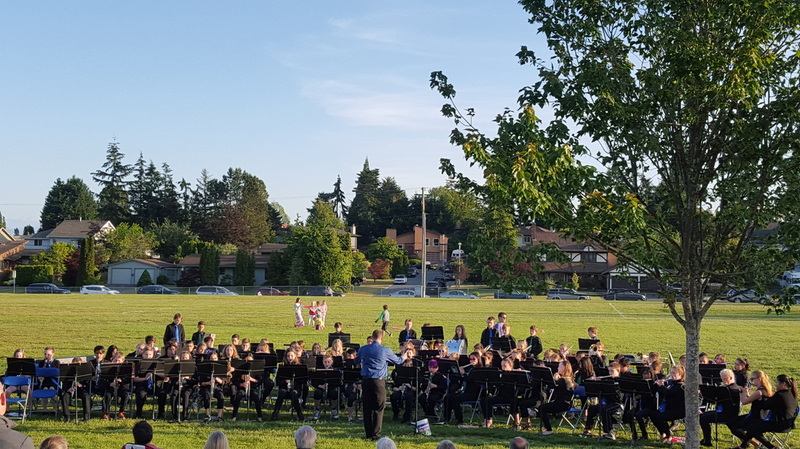 For any students who have not yet acquired an instrument for the school year, please attend the band rental evening on Friday, Sept. 18th from 4-6pm in the band room. Rental instruments will be available either from Larsen Music or from the school. I generally recommend renting from Larsen Music (or another music retailer) if possible as their instruments will be of higher quality and they have very reasonable rental rates which are comparable to the school prices in many cases. They can also offer insurance and rent-to-own options. School instruments will be available to rent by a one time payment of $120 for the school year for flutes, clarinets, trumpets and trombones, $150 for saxophones, bass clarinets, baritones and tubas and $60 for percussion kits. Payment must be made by cash or cheque. Please visit www.larsenmusic.ca for information on rental rates from Larsen music. Please note that a credit card and driver’s license is needed to complete a rental from Larsen Music. Welcome to an exciting new year of music at ROMS! I am thrilled to have the opportunity to continue directing the band program here and to build on the many successes of last year. Band/FAAS begins Thurs, Sept. 10. Band students will find out which class they are in this week. Please review the schedules below. 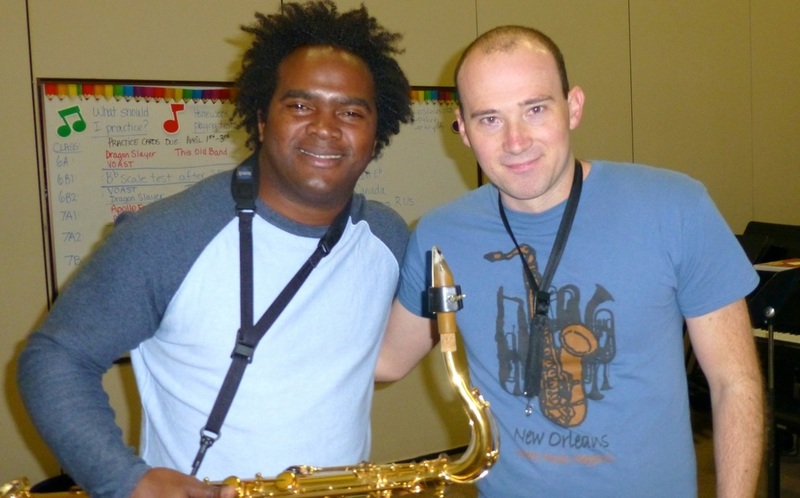 Several Royal Oak saxophonists recently participated in an intro to jazz saxophone workshop at Bayside Middle School taught by Mr. Bridgman, Noedy Hechavarria Duharte and Andrew Slade. Big thanks to Bayside band parent Mrs. Arthur for organizing and the Bayside PAC for their support of the project. 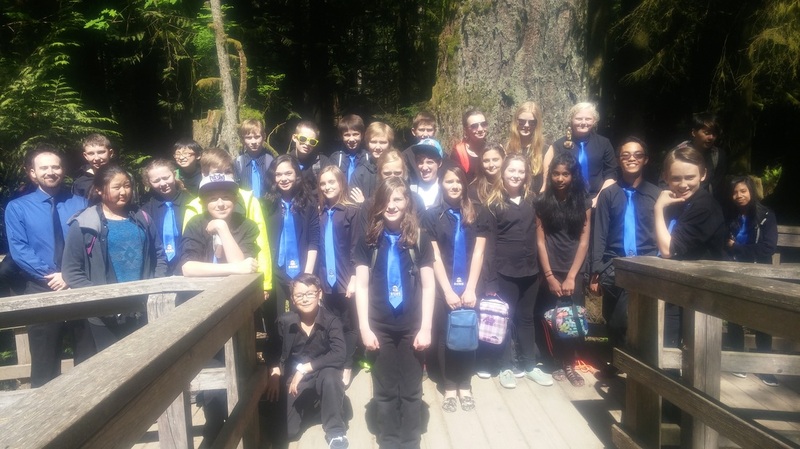 Congratulations to the Royal Oak Grade 7 Concert Band for a great performance at the Vancouver Island Concert Band Festival in Port Alberni earning an “Excellent” rating from the adjudicators. We had a lot of fun! Click the links below to listen to their performance. Thank you to all the parents and students who came out to our open house on Feb. 5. Nice to see so much excitement about the band program! 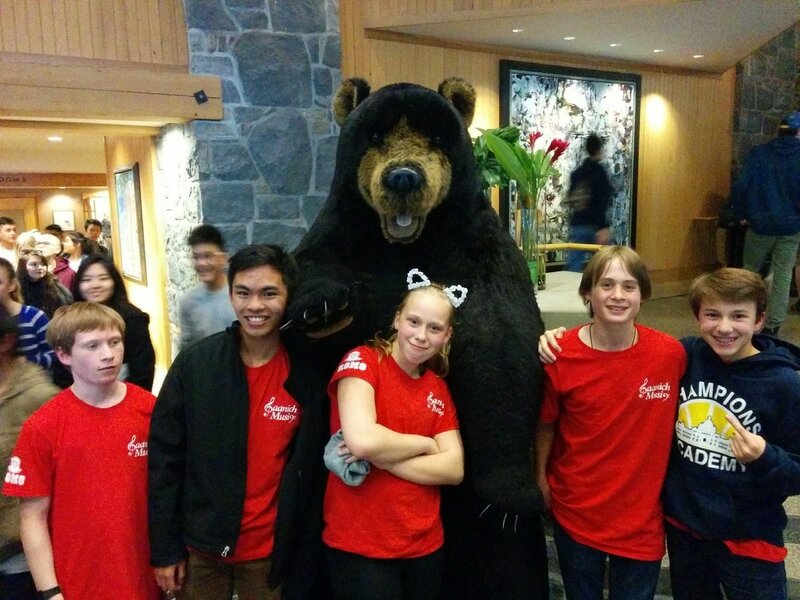 Whistler Fees and Permission forms due Feb. 11! Please contact Mr. Bridgman if you are unsure of the balance owing. 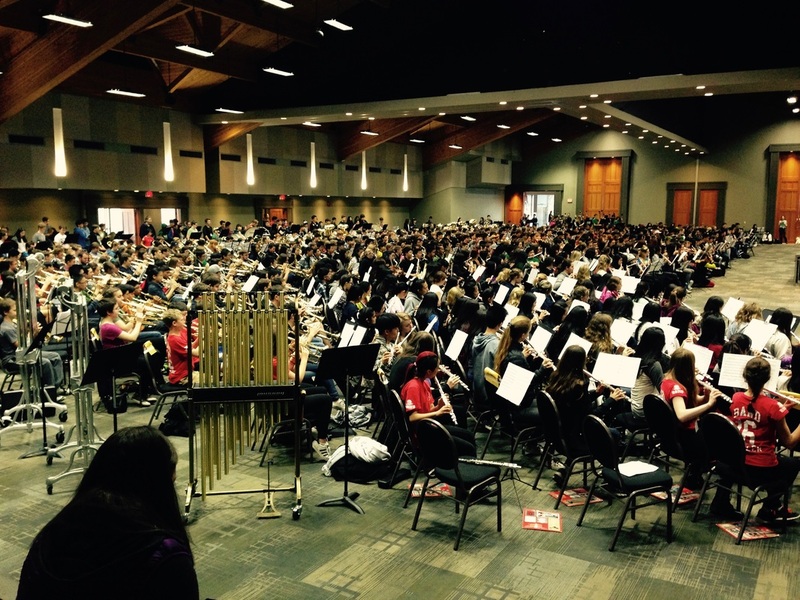 Winter Band Concert – Dec. 8! Our Winter band concert takes place Dec. 8 at 7pm in the gym. 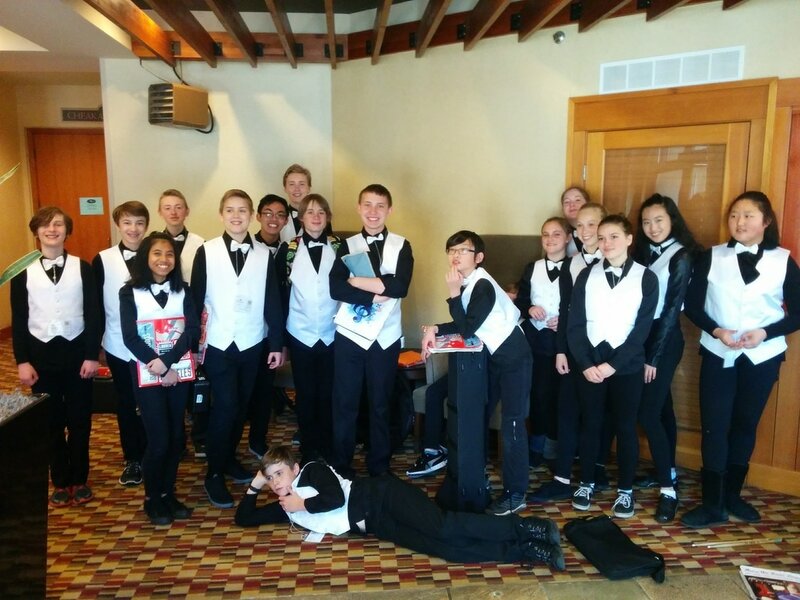 Students are to arrive by 6:30pm, in uniform, to set up their instruments and prepare for the concert. Grade 6s meet in the band room, grade 7s in the art room, and grade 8s in the shop. Everyone is invited to come a little early for the chili dinner starting at 5:30pm in the canteen. $8 for a bowl of chili and a bun with proceeds going towards the band program. Seating available in the multi-purpose room. Our online theory program is up and running, click here for instructions. Please don’t forget to bring $5 to Mr. Bridgman. Please check out the several Royal Oak Band fundraisers currently running including our pizza deal , magazine subscriptions , Level Ground coffee and tea , ﻿ pointsettia sales ﻿ and ticket sales for the Hillside Center’s Night of Lights shopping event. Thank you for your support! All grade 6 students are required to attend the sectional for their instrument held Tuesday and Thursdays during lunch Activity period in the band room. Grade 7s will also meet once per rotation as a group. Click ﻿here ﻿to check out some really cool youtube videos of different band instruments. Submitted by grade 6 and 7 students. Please make sure you have emailed your video to Mr. Bridgman! Here is another great video demonstrating some of the amazing benefits of learning to play a musical instrument! The first playing tests of the year have been assigned for all band students. Grade 6s – fingerings for first 5 notes. 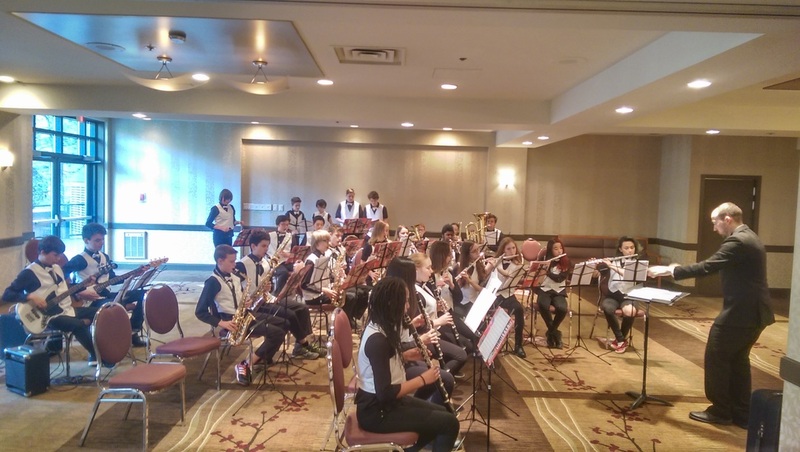 Grade 7s – Concert Bb major scale. Grade 8s – Concert F major scale. Any students interested in joining the Royal Oak choir please meet in the band room at lunch on Monday, Oct. 20. Choir will meet to rehearse every Monday and every other Wednesday starting Oct. 22 until winter break. Grade 8 students please submit your first deposit by Oct. 28! Check out the festival website below for more information about the festival! Our Level Ground coffee/tea fundraiser is now underway! Click here for details. Thank you to everyone who attended the band parent meeting on Oct. 7, please review the minutes below. Anyone who did not receive this by email, please send me an email so I can add you to the band parent email list! Welcome to an exciting new year of music at ROMS! I am very excited to meet everyone and start making some great music! Parents please read and review the following welcome notice and return the information form to Mr. Bridgman. ﻿For any students who have not yet acquired an instrument for the school year, please attend the band rental evening on Friday, Oct. 3rd from 3:30-6pm in the band room. Rental instruments will be available either from Larsen Music or from the school. School instruments will be available to rent by a one time payment of $120 for the school year for flutes, clarinets, trumpets, trombones, and per﻿cussion kits, and $150 for saxophones, bass clarinets, baritones, tubas and French horns. Payment must be made by cash or cheque. Please visit www.larsenmusic.ca for information on rental rates from Larsen music. Please note that a credit card and driver’s license is needed to complete a rental from Larsen Music. ﻿This is an excellent opportunity for all grade 6 students to get off to a great start on their new instrument. Students will attend a small-group workshop with a professional musician on their own specific instrument to go over proper set up, care and maintenance, posture and tone production. Students will also meet other students and teachers from other schools in the district. Pizza will be served after the workshops! There will be a $5 fee to cover costs. All grade 6 students are strongly encouraged to attend. We could use a couple parent volunteers to help out as well, please contact me if you would be available to help. Please return registration form and $5 to Mr. Bridgman by Oct. 2! FINAL DAY TO DONATE SCRAP METAL IS THIS FRIDAY!!!!!!!! The Royal Oak Middle School Band will be collecting scrap metal as a fundraiser. A large recycling bin will be located at Royal Oak Middle School and parents, relatives, friends, neighbours and others are welcome to drop of scrap metal in the bin. Please see the partial list of accepted items (here) . Thanks for your support! !